Homeowners looking for a distinctive place to live won’t have to choose between the bird’s eye views that come with a condo or the smart layout of a multi-storey townhouse. Art Condos, a discrete 11-storey building in the heart of Queen West, gives you the best of both options with their SkyTowns. The Triangle West development is move-in ready and the two-storey SkyTowns are easily the pinnacle of the project. Floor to ceiling windows grace both the front and back of the suites and each SkyTown has its own separate entrance for maximum privacy. Unique mechanical features also make the spaces comfortable and convenient. While the private patios are equipped with gas hook-ups for all your grilling needs, they’re also fitted with heated floors to melt the snow. You’ll still be able to enjoy the view of Dovercourt and Queen St. from your outdoor space without ever stepping in the white stuff. Movie buffs will be surely be inspired to organize their own mini-film festivals from their living space. In lieu of a television, the SkyTowns come with a custom-designed tech system for optional image projection onto the wall. 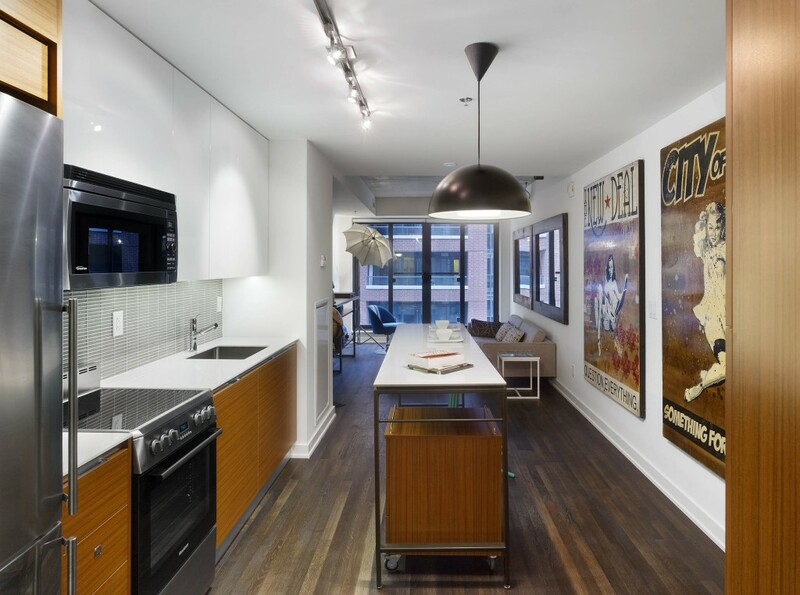 The suites live up to the Art Condos name. There are countless custom designs and European finishes that make the suites stand out as cleverly designed, contemporary spaces. Triangle West’s creativity has attracted industry attention as well earning two 2013 BILD Awards nominations. 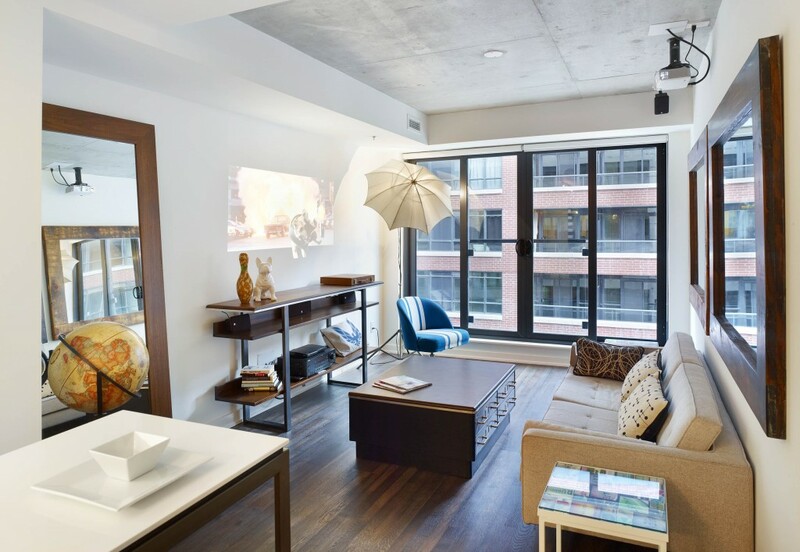 The SkyTowns suite scored a nomination in the 750 – 1,500-square feet category while another Art suite design (the C7) was nominated in the under 750-square feet category. The building is designed by Oleson Worland Architects and Hariri Pontarini while 3rd Uncle Design handled the interiors. For $549,990, the 1098-square foot SkyTown model suite is fully finished and comes with one year of free maintenance. Other SkyTowns are available for $529,990. 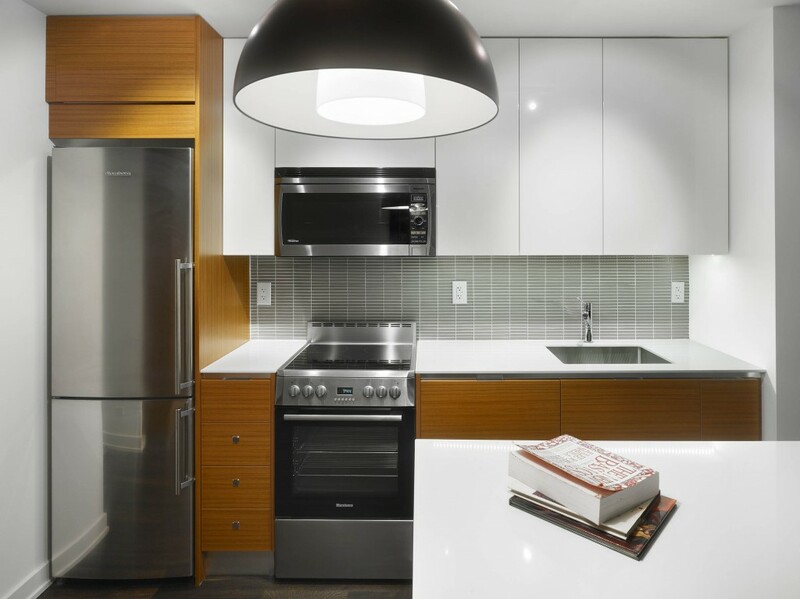 The Scavolini kitchen comes with integrated European appliances. and your choice between Corian or Caesar countertops. 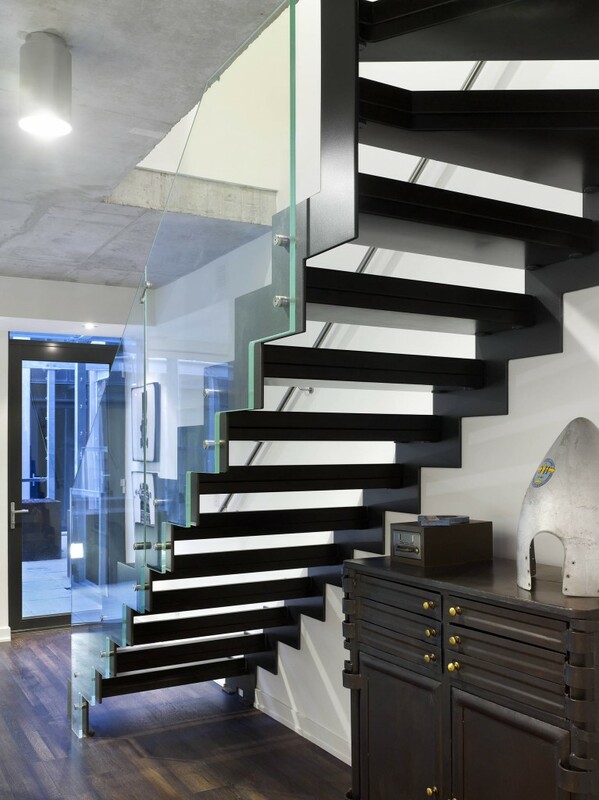 The custom-designed stairs and glass railing were made in Italy. The living space gets lots of natural light and comes with projection screen technology. Other units, ranging from one bedroom plus den to two bedrooms plus den, are still available. They range in price from $324,990 to $572,990. For more information call 416 535 7775.